NEW: Stay and Ski Free packages - Scroll Down! Summary of the different Hotels- 1 & 2 Bedroom Suites- Homewood Suites by Hilton, Residence Inn by Marriott. These listed hotels are all in the Salt Lake Valley at or close to the base of Big & Little Cottonwood Canyons, centrally located to all 7 Salt Lake and Park City resorts - (NOTE-- Sandy hotels; interstate 15 area; airport; and downtown area hotels are much further away and not listed here- (call if you want these). Listed Hotels are located just 15-20 minutes from Alta, Snowbird, Solitude & Brighton ski areas, and 30 minutes from Park City's 3 ski areas. CALL 877 545-6344 or 801 943-5050 for info & reservations! NOTES: Stay and Ski free lift ticket packages include Mountain West Ski Tours Cottonwood Canyon Lift Pass- good for adults all day at Snowbird with Tram, Alta, Solitude, and 9AM-9PM at Brighton! Individual days can be upgraded to any of the 3 Park City Resorts. This pass also allows kids 6 and under to ski free at Park City & Solitude, 10 and under at Brighton, and 12 and under at Snowbird! Total tickets included are the number of nights minus one for the arrival first night. All listed rates are before tax. Closest 1-2 bedroom unit to Snowbird and Alta not at the mountain! Located right on Little Cottonwood Road (the access road to resorts), just 9.5 miles from Snowbird, +1 mile to Alta, 15-20 minutes to Brighton/Solitude. Closest 2 bedroom unit in the valley, closer then listed hotels by 10-13 minutes! Bottom level of pictured home with private seperate entrance. Garden Level Unit, Sleeps 1-5: 2 bedrooms 1 bath lower level apartment: full kitchen w/ Dishwasher & stove, real oven, 7' ceilings, Outdoor Hot Tub, 200 station Satellite TV including 30 movie channels, Woodburnig stove. Beds-King, Queen, Double, Twin. Great location, great value! sleeps 1-6. Standard Hotel Room- 2 Queen bed room with common hot tub and basic continental breakfast, 2 free lift tickets each ski day, good at all 4 Cottonwood Resorts: $79/night per person double occupancy, 4+ nights. $89/night per person double occupancy 3 ppl. $115/night per person per night double occupancy for regular winter Season, $95/night for 3 people in a room. 1-2 Kids 12 and under free without tickets. Requires 2+ nights for lift package - Max 3 adults, or 4 people per 1 bedroom. $105/night per person Quad occupancy for Low Season. 2+ nights for lift package. NOTE: Adult lift packages above include tickets for each night booked minus arrival night each person. Kids ski free with above packages 12 and under at Snowbird, 10 and under at Brighton. Free tickets are upgradable for $10-$20 for Snowbasin/The Canyons/Deer Valley/Park City. Rates are before tax. Additional lift tickets can be added to any package at discounted rates. dial 1-877 545-6344 - Rated Best Rooms & best value for valley suite hotels! At Homewood Suites you will enjoy all the comforts of home. Spacious residential-style one and two bedroom suites, all with separate living room, kitchen, and private bedrooms, some rooms even include fireplaces. Fully equipped kitchens- full sized refrigerator, microwave oven (does not have standard baking oven), stove, dishwasher, cookware, utensils. Executive Center (free use of copier, personal computer) Free local calls, voice mail, PC data port. Two cable televisions with VCRs and movie channels. Each day we'll treat you to a complimentary extended hot & cold breakfast buffet, plus Monday - Thursday enjoy our evening social hour including free beer, wine, soft drinks and a light dinner snack. Our indoor pool, hot tub, and workout center make it easy to unwind after a day of legendary Utah powder. Our complimentary shuttle will take you within five miles. Ski lodge style lobby area. Includes lift tickets each person each ski day good at all 4 Cottonwood Resorts, upgradable to 3 Park City Resorts, see notes at top of page! Includes Kids free at some areas! Can customize room size and lift tickets- Call with your trip details for a quote! All Suite Hotel- Located near the base of Big Cottonwood Canyon (Solitude / Brighton), 2.5 miles from Little Cottonwood Canyon (Alta / Snowbird). Offering Studio Suites, One Bedroom Suites, and Two Bedroom Suites. Complimentary hot and cold breakfast, and evening "Happy Hour" with beverages and food. Outdoor heated pool and hot tub, workout room, in room full kitchens, free van service within 5 miles. US Ski Lodging Summary: rooms all with 3/4 kitchens, small outdoor heated pool with hot tub, & breakfast. Evening "Happy Hour" managers social with complimentary finger food- Midweek only. With a separate living room, full kitchen and in many suites a fireplace, Residence Inn by Marriott gives you 50% more space than an ordinary hotel room for about the same price. Every day, you can count on services like housekeeping as well as a complimentary breakfast buffet. There's even a hospitality hour for when you want to end the day on a social note. We are just what you need when you are staying for a few days or more. See Hilton Homewood Suites above rated best value! Click-Private 2/3 bedroom Townhomes with private hot tub just $249!! ..877 545-6344, Cottonwood Canyons, Utah. All rates are quoted as a base lodging rate- Discount lift tickets for all ski areas, and speacial rates on skierized rental cars are available also! 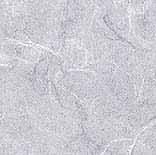 Crystal Inn: 877 545-6344. All units have microwave, coffee maker, & refrigerator. These are nice one room hotel rooms with sitting areas. 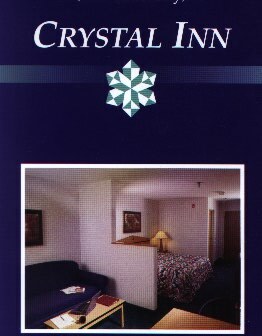 Convenient to all of Salt Lake Valley in Murray, the Crystal Inn is just off I-215 at Union Park (exit 9). Downtown Salt Lake is just 15 minutes away, and 4 Cottonwood Canyons ski areas are just 20 minutes drive. FEATURES: Guests are free to dip into the common area indoor hot tub & pool, and are welcome to partake in the complimentary hot breakfast served daily. Onsite Laundry & free van shuttle service on demand pickup from airport plus within a 5 mile radius. Jacuzzi suite available. 25 " TV/VCR in rooms with movie rentals in the lobby, 24 hr. convenience store. SKIER SPECIALS: - $99/night per person for double occ. include 2 free lift tickets for any of 4 Cottonwood Resorts, upgradable to 3 Park City resorts! Additional room occupants $50 each/night with lift tickets, kids under 14 free. $99 for room with king bed & sleeper sofa, or 2 queen beds. * Up to 2 adults per room or $10 per night each additional adult, kids under 16 free in parents room. Super 8 Hotel- Cottonwood- Stay & Ski Special- $75/nt.PP Hotel and Lifts! price is for 2 people in a room, includes lift tickets each ski day* for any of 4 Cottonwood Ski Areas, or upgrade to any of the 3 Park City Resorts! 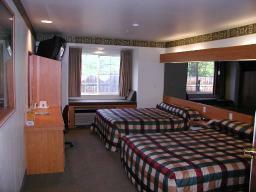 Rated Best Value - - New hotel conveniently located to the Cottonwood Canyons. Features standard style hotel rooms (quoted above), and studio type suites. Skier deal includes continental breakfast, on-site Hot Tub open 24 Hrs, discount lift tickets available. Access to a computer equipped with high speed Internet access located conveniently in the lobby, free HBO, 24 Hr. Hot Tub! 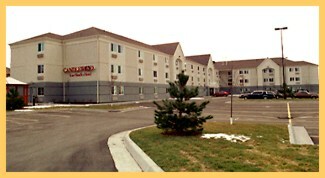 Candlewood Suites, Hotel Rooms and 1 Bedroom Suites. Enjoy the comfort and convenience of a basic but spacious studio or suite while you are in Salt Lake City! Plus, for your added convenience. 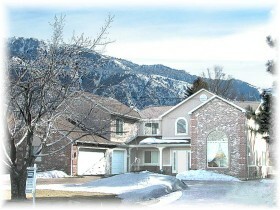 Candlewood is located on a Bus line that will transport you to and from the 4 Salt Lake side ski resorts! You plan the fun, and we will take care of the rest! One of the best skier values in Utah, with rooms for 1-4 people. 25" TVs with HBO. Location: Candlewood is centrally located near the base of Big & Little Cottonwood Canyons, close to major shopping, restaurants and only 15-20 MINUTES away from Alta, Snowbird, Solitude, and Brighton, just 30 minutes from Park City, Deer Valley, and The Canyons ski areas. Mention usskilodging.com to get Skier Specials!